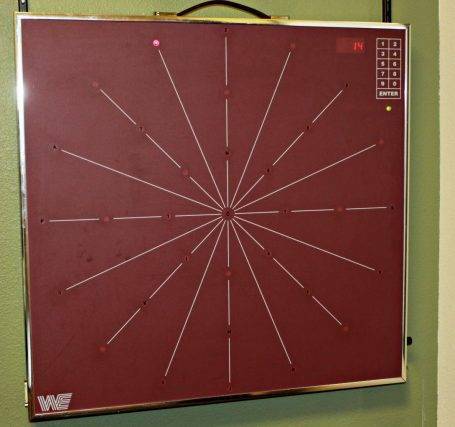 Also called the “Wayne” or “Lights Board” by Dr. Sczepanski, the WSF is the standard for testing, evaluating, and developing accurate and rapid eye-hand coordination, spatial integration, peripheral awareness, saccadic eye movements, and reaction times. Athletic trainers, developmental vision optometrists, and rehabilitation therapists often use it for its ability to motivate users. The WSF is a wall-mounted instrument with a touch-sensitive membrane panel containing 33 LED lights arranged in three concentric circles with one light at the center. The user responds to the light by pressing the membrane button surrounding it. The built-in computer provides a number of lights pressed within the one minute time limit. Examinations used to diagnose non-refractive vision problems differ from routine eye exams provided by most optometrists and ophthalmologists. Usually, they are longer and include a number of tests of eye teaming, depth perception, focusing, eye movements and visual-motor and/or visual-perceptual skills.